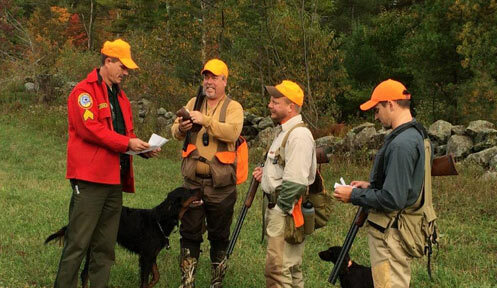 The New Hampshire Fish and Game Department's Law Enforcement Division is responsible for the enforcement of all laws, rules and regulations pertaining to the state's fish, wildlife and marine resources. Conservation Officers prosecute all of their own cases involving offenders of wildlife law. They also handle search and rescue operations and enforce off-highway recreational vehicle regulations. 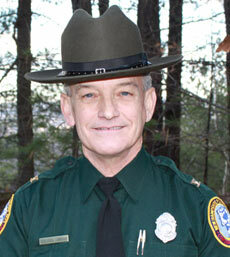 As public servants, our Conservation Officers are committed to providing the best possible services to the citizens and visitors in the State of New Hampshire. 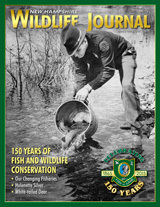 The primary mission of the Law Enforcement Division is wildlife enforcement. To accomplish this goal, it is imperative our Conservation Officers are highly trained and promote professionalism in the performance of their duties. We have an obligation to respond to the increasing public demands in a timely and respectful manner. To be successful, the Law Enforcement Division’s Mission must be administered without prejudice, always mindful that in the execution of their duties they act not for themselves, but for the public. We believe through the actions of our personnel the New Hampshire Fish and Game Department, Law Enforcement Division, can fulfill the goals and objectives with a common purpose. To do so, our Conservation Officers need to act as a team for the purpose of maintaining our wildlife resources, enforcing off highway recreational vehicle laws and providing search and rescue response when called upon to do so. Challenges now and in the future must be met with Conservation Officers who have gained the trust of the public as professional Conservation Law Enforcement Officers. Monday through Friday from 8:00 a.m. to 5:00 p.m.; and on Saturdays and Sundays from 7:00 a.m. to 7:00 p.m., year round. September 1 through end of firearms deer season, 7 days a week, 7:00 a.m. to 7:00 p.m.
or make your report online!